Rev. Kirsten Blom-Westbrook is a celebrant with over 20 years of experience, serving Baltimore, MD, DC, SoPA, NoVA and the greater Chesapeake region-and beyond! Ordained by the Church of Spiritual Humanism, as well as the United Free Church of Baltimore — a non-denominational church recognizing and accepting all faiths. The State of Maryland, as well as all 49 other states and D.C., recognizes this affiliation and she has been performing ceremonies in the region since 1997. She has officiated at more than 2000 weddings in the region and at fabulous destination weddings across Mexico and the Caribbean. Though Rev Kirsten will travel anywhere, she is primarily a MD, DC, VA, and PA wedding celebrant. 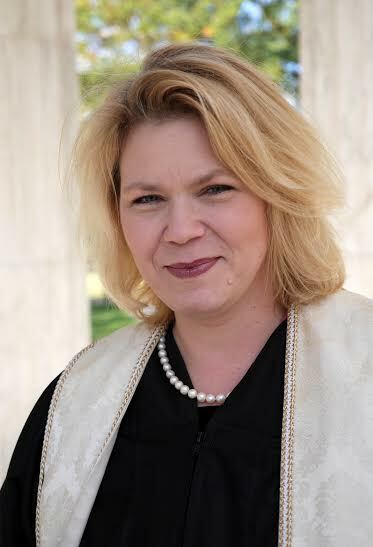 Rev Kirsten provides Civil Marriage Ceremonies, "Justice of the Peace" Style Ceremonies, Traditional, Alternative, Spiritual, Religious, and Interfaith Ceremonies. There is No Premarital Counseling required. National and International wedding inquiries are most welcome. Ask about Elopement Specials. Rev. Kirsten is also a wife and mother of 3 wonderful boys. Click here to read an article about Services of Distinction on the Baltimore Examiner website, written July 10, 2011.